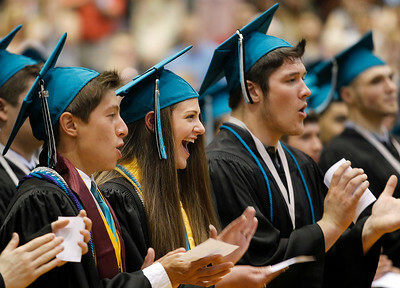 Matthew Apgar - mapgar@shawmedia.com Students, from left, Luis Balleno, Briana Baltes, and Cody Barnes, applaud during their commencement ceremony on Saturday, May 16, 2015 at Woodstock North High School in Woodstock. Matthew Apgar - mapgar@shawmedia.com Students line up for their diplomas during their commencement ceremony on Saturday, May 16, 2015 at Woodstock North High School in Woodstock. 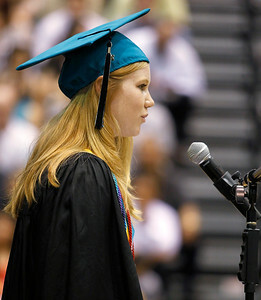 Matthew Apgar - mapgar@shawmedia.com Senior class valedictorian Sara Keesee speaks during the commencement ceremony on Saturday, May 16, 2015 at Woodstock North High School in Woodstock. Matthew Apgar - mapgar@shawmedia.com Students walk through the hallway to the gymnasium for their commencement ceremony on Saturday, May 16, 2015 at Woodstock North High School in Woodstock. 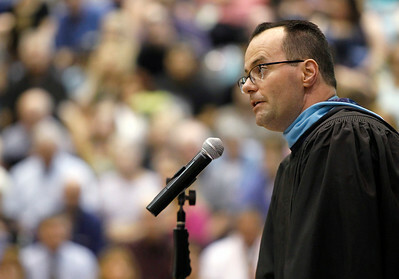 Matthew Apgar - mapgar@shawmedia.com Principal Brian McAdow speaks during their commencement ceremony on Saturday, May 16, 2015 at Woodstock North High School in Woodstock. 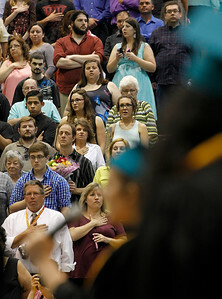 Matthew Apgar - mapgar@shawmedia.com Attendees salute the flag as "The Star Spangled Banner" is sung during their commencement ceremony on Saturday, May 16, 2015 at Woodstock North High School in Woodstock. 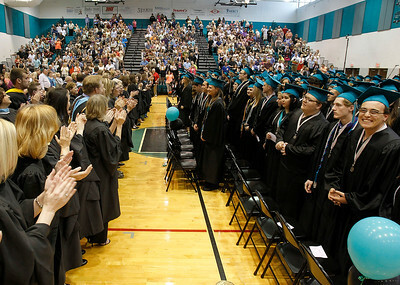 Matthew Apgar - mapgar@shawmedia.com Teachers, left, applaud as graduating students enter the gymnasium for their commencement ceremony on Saturday, May 16, 2015 at Woodstock North High School in Woodstock. Teachers, left, applaud as graduating students enter the gymnasium for their commencement ceremony on Saturday, May 16, 2015 at Woodstock North High School in Woodstock.